I would like to take this opportunity to thank you for the help that you and your team have provided with in recent months. You have of course assisted in two main areas; the first being provision of contracts of employment for our staff and the second dealing with issues relating to a particular staff member. The second issue of course underlines the need for proper contracts of employment. 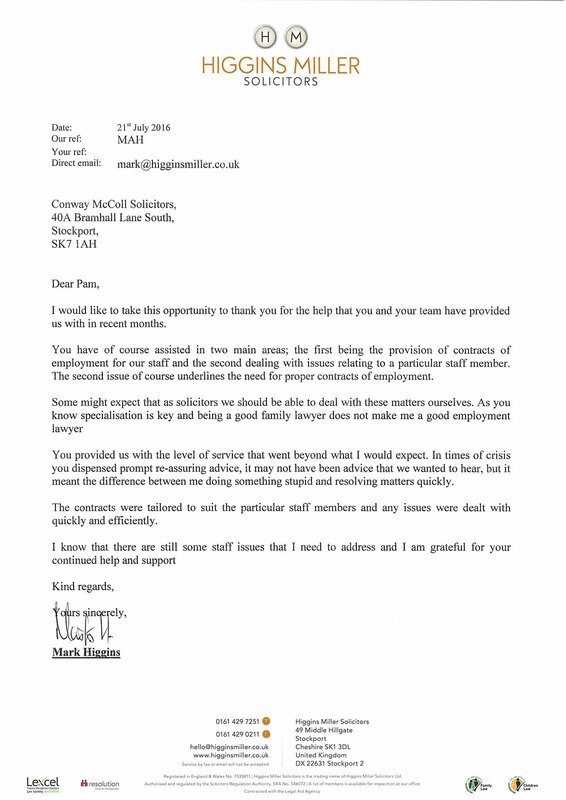 Some might expect that as solicitors we should be able to deal with these matters ourselves. 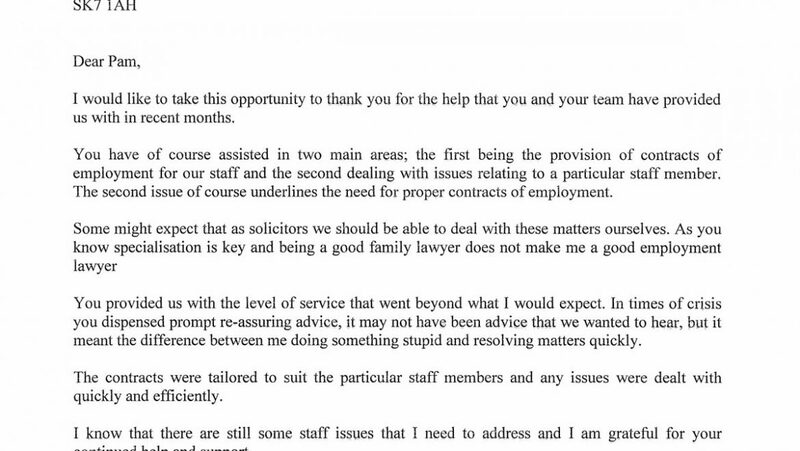 As you know specialisation is key and being a good family lawyer does not make me a good employment lawyer. You provided us with the level of service that went beyond what I would expect. In times of crisis you dispenses prompt re-assuring advice, it may not have been advice that we wanted to hear, but it meant the difference between me doing something stupid and resolving matters quickly. The contracts were tailored to suit the particular staff members and any issues were dealt with quickly and efficiently. I know that there are still some staff issues that I need to address and I am grateful for your continued help and support.